We specialize in outsourced wholesale and retail product distribution, fulfillment and logistic services. ...Cannon Hill has been a good partner in helping us with what is often complex and dynamic shipping/fulfillment requirements." Cannon Hill can help you achieve the optimum stock levels to effectively grow your business. Cannon Hill takes superb care of our business at a smaller cost, and with far less headaches, than if we were to do it ourselves." 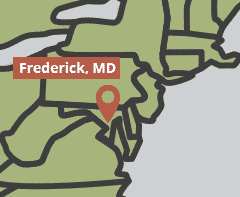 Our convenient warehouse is located just one hour from the Port of Baltimore, one of the busiest ports on the East Coast. Your product can reach more than half the population of the United States in under 3 days with economical ground shipping. Looking to grow your business but don't know how to manage expansion and all current day-to-day logistics? At Cannon Hill Logistics, we pride ourselves on developing solutions to assist businesses of all sizes in achieving their goals. Whether you need warehousing, order fulfillment, inventory control, product promotion, or complete accounts receivable management, we can tailor a program to fit your individual needs. Our experienced professionals utilize powerful technology that can save your business time and money, getting you on the road to significant business growth.